across multiple jurisdictions in Africa and globally. He has presented on a wide array of legal topics to different audiences and is featured regularly in published articles. He is recognised by both his peers and his clients for his proficiency in employment law. Mr. Patel’s track record include having successfully advised and represented a number of state-owned enterprises as well as companies listed on the JSE. 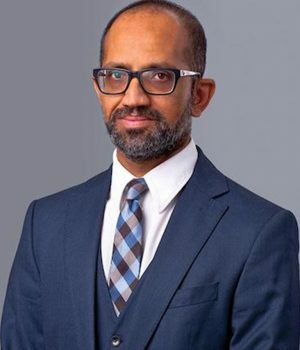 A member of the Law Society of the Northern Provinces and the South African Society of Labour Law, Mr. Patel holds a B Proc LLM, LLM and H Dip (Company Law) from the University of Witswatersrand and was admitted as an attorney in 1999.